We have recently invested an immense amount of time and money to create a rich, dynamic and stimulating outdoor environment. 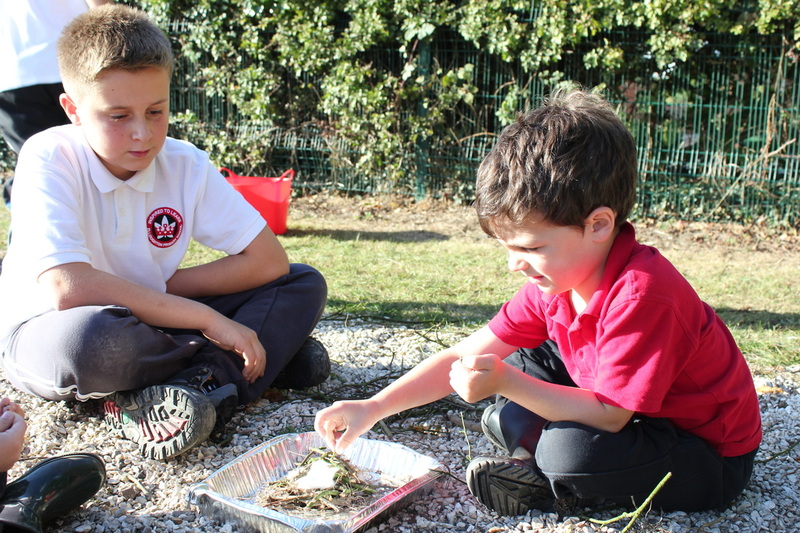 As a result we now have a fantastic natural space for learning and development within our school grounds for all our children . 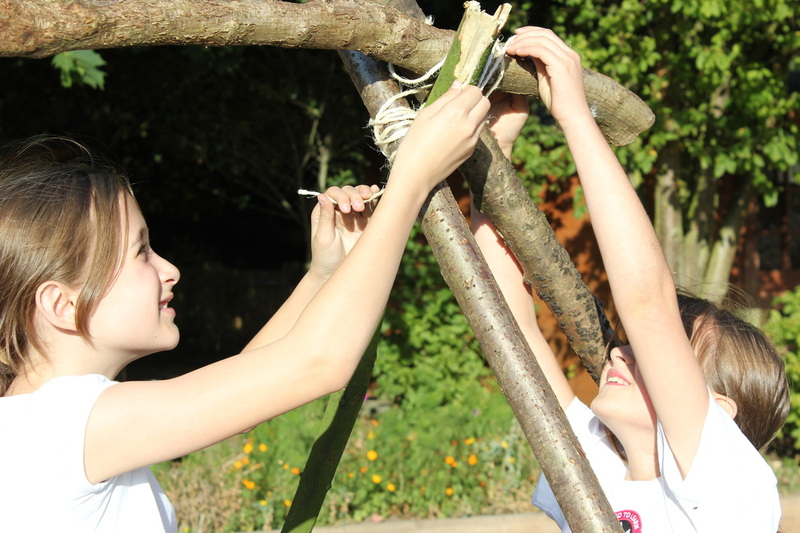 We believe that it is vital that children of all ages frequently have access to the outdoors as it provides a wealth of learning opportunities to extend and enhance many areas of the curriculum. Whilst outdoors children can explore, take risks, use their senses and be physically active. It enables them to develop problem solving and team work skills as well as nurturing creativity, imagination, inventiveness and resourcefulness. 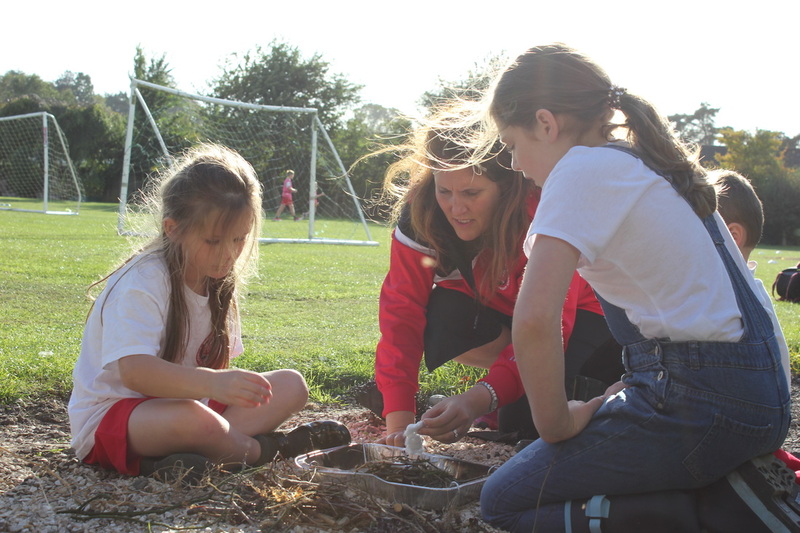 Staff teach a minimum of one outdoor lesson per week outside in addition to PE and therefore children are expected to come prepared for all weathers as they will be outdoors much more this year, come rain or shine! Observing children’s excitement, enthusiasm and wonderment as they make discoveries and learn new skills whilst outdoors is a delight to see. 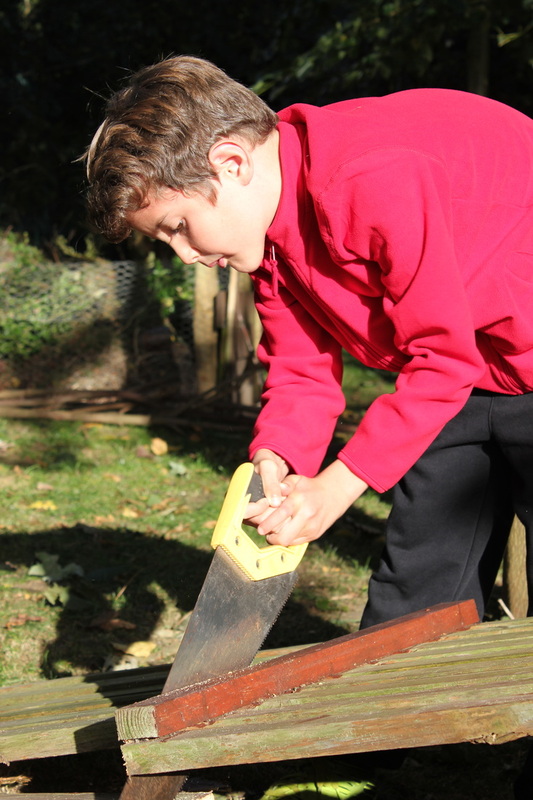 Being outside is liberating; children have the room to be active, noisy, messy and work on a large scale. Tuesday evenings are a time of great fun, excitement and wonder. 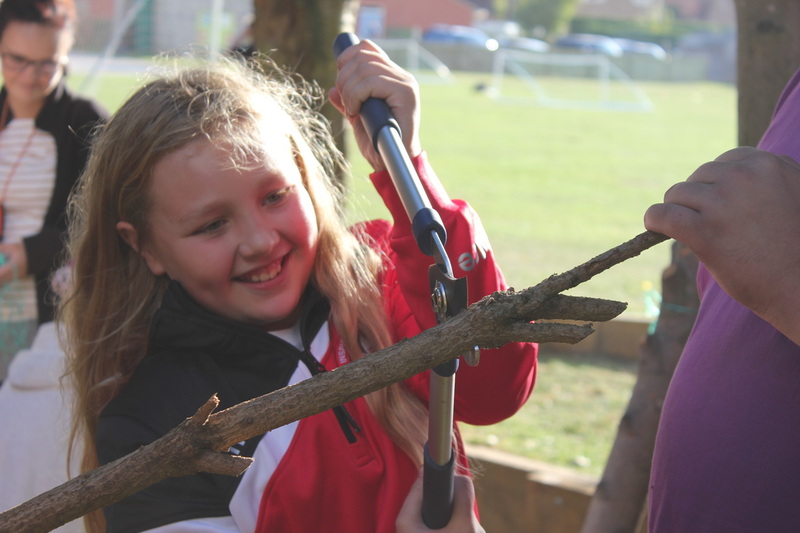 At Forest Skills Club we aim to learn a new skill each week that will help the children foster a love of being outdoors and creating their own equipment. 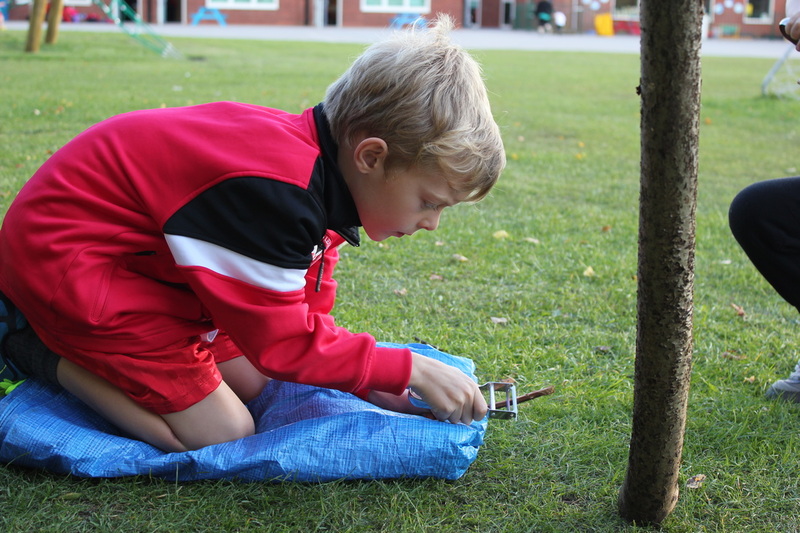 This term the children have all had the opportunity to build, light and maintain their own fires which were perfect for toasting marshmallows. 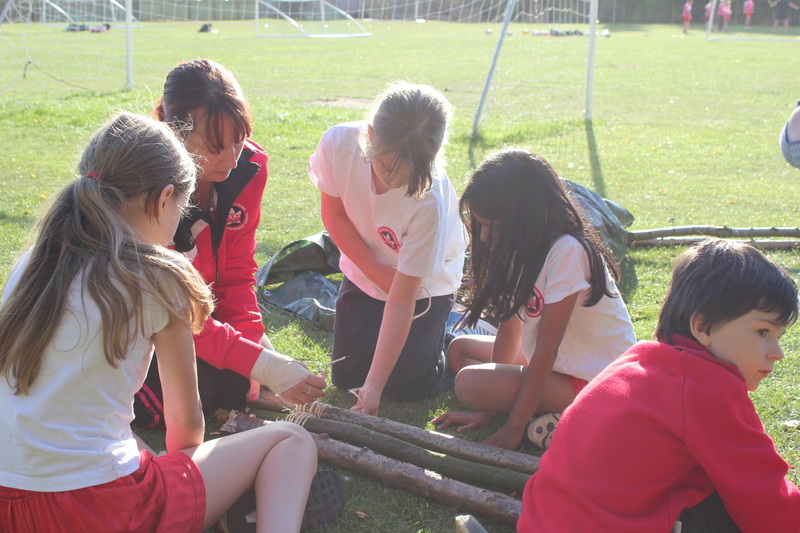 They have also been given the opportunity to learn to tie a few basic knots which they used to help build a log store for wood for our firepit. This store when it is finished will have a sloped roof and a shelf inside all of which have been cut and crafted by the children. On a less practical and more decorative note the children have been learning to whittle wood and have created their own wooden snakes and apple cooking spears! In the final weeks we have made spears for cooking apples on and then turned these cooked apples into toffee apples for a great end to the club. 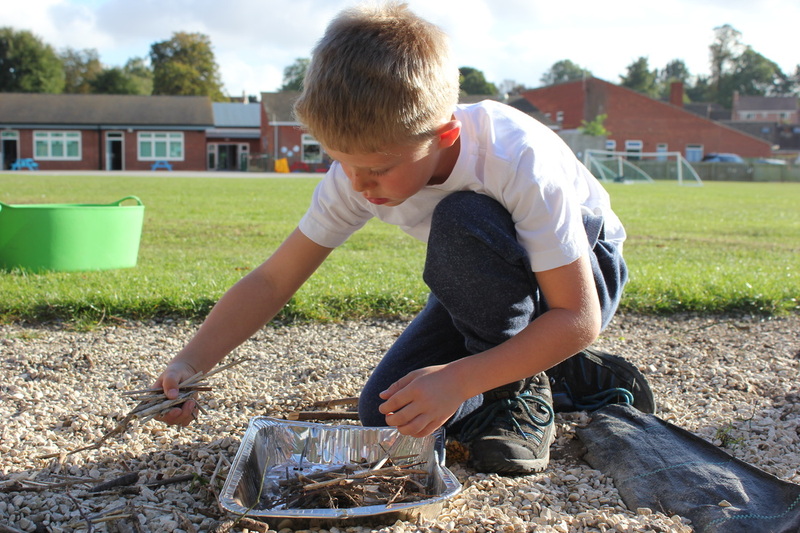 Next term we plan to make an oven to cook food in, create some forest school stars and a variety of other activities.